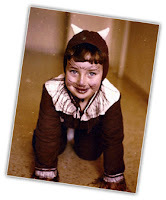 Purim (a similar jewish version for Halloween) was the holiday I loved the most as a child. I remember I used to wait for the day my mother asks me "who do you want to be" this year? I was a ballerina, little red riding hood, a hippie, a rabbit, a traditional Japanese dressed lady, and even a kitty (it's me age 4 in the photo!). All these special costumes were handmade by my mother and I can not thank her enough for being so cooperative with our childhood desires. Purim is due in 6 months but Halloween is only 60 days away! 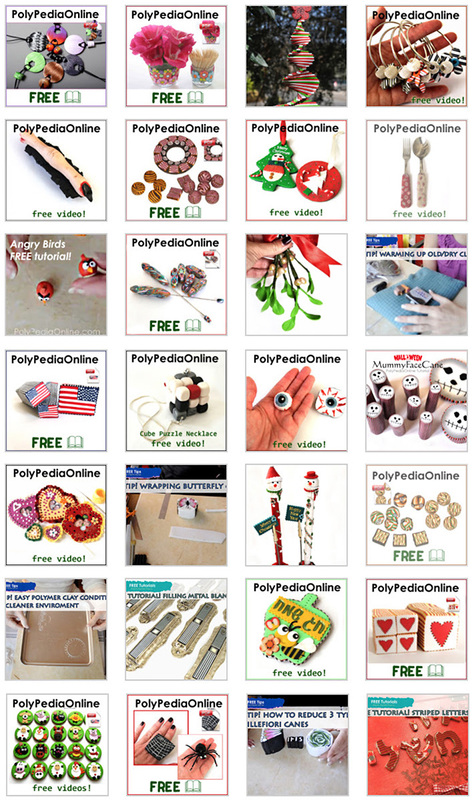 Have you planned your polymer clay projects? gifts? treats? You are most welcome to join me in a new FREE 29 minutes video tutorial, teaching you all how to create this spooky (spooky? I think it's cute!) millefiori mummy face cane, made of only 3 clay colors - white, grey and black. Skinner blend, stitched lips, black eyeballs and nose - and you have a super cool cane to add to your Halloween gift collection! Lot's of useful tips are included in this video, including my way of creating a skinner blend, inserting details inside a round cane, accurate slicing of a plug, stripy finish wrap around the cane, and many more! Don't miss the special giveaway! SORRY! Giveaway closed! I am giving away 3 canes of this cutie! => What was your favorite costume on Halloween as a child? => Post a link to one of your polymer clay Halloween themed creations! In my next PolymeriOnline blog post, 3 of you will be drawn out from all the comments and WIN A CANE - FREE! Witches are so mysterious! I think this must be my next one! This is great! I have to try this candy, never tried it! I always sewed my girls costumes: Cinderella, scarecrows, Indian Princess is still getting used 15 years later in school plays. Yep, these outfits last forever! I am so ready for fall so I was glad to see your skull canes! Check out my interpretation of Halloween at this link! 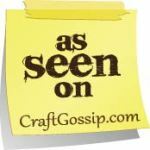 http://kristinewalker.webs.com/apps/webstore/products/show/3352705. Let me know what you think. Another great tutorial! Here is a link to my halloween beads. My favourite costume as a child was a mouse costume that my mother made. It was like a grey bodystocking that I could put my clothes and coat on underneath to keep warm. It had a long tail that I could curl up over my arm and carry. The mask was the simple eye mask with pipe cleaners for whiskers. There were even booties and mittens that matched to complete the outfit. To carry my goodies, I had a bag that looked like a wedge of cheese. My greatest regret was the year I grew too tall for it. Hello Judy! You are a winner! I love the tutorial Iris! I remember my favourite costume was one that I sewed myself as a young teenager. I sewed a silver satin jumpsuit, covered a motorcycle helmet with tin foil, shaped a ray gun out of tin foil and went to a party as a space traveller. Had polymer clay been around back then, I could have had a way, cooler ray gun! Great tutorial! My favorite costume was from my teenage years - Wonder Woman. My boyfriend & I spent hours making my costume and his Spiderman costume. It was the most detailed costume I have ever made! Hello Rebecca! You are a winner! I am a fan of Halloween. Durig my summer vacations when I was young I allways made my Halloween costume in paper. Even though it got wet I just loved it. Now I prepare things to give away to children I visit to read stories to in schools.So Halloween is still the best feast of the year for me. Great tutorial as allways.